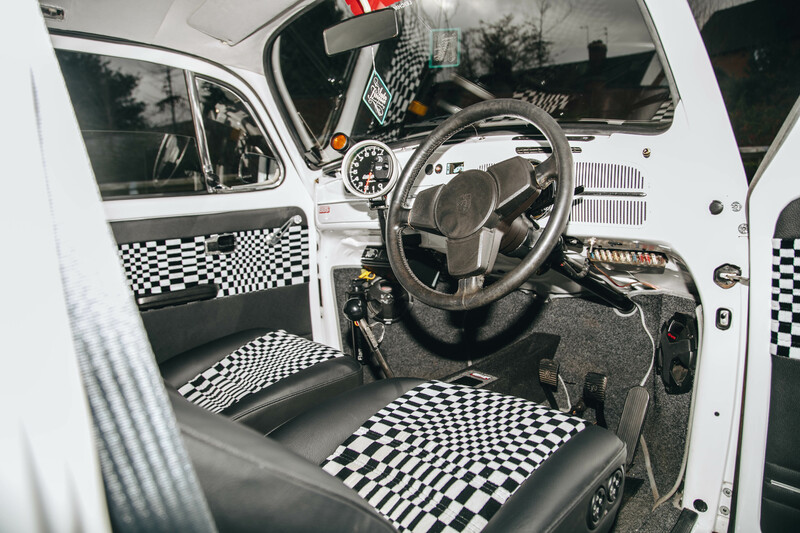 Max Edwards has built a rather special Beetle, taking inspiration from the land of motorsport, while somehow keeping it true to its classic Beetle heritage. These are two very different styles, but they complement each other very well! The idea first came to Max in February of 2011, and it had him searching high and low for an early-model Beetle. Eventually, Max stumbled upon an original 1978 model that was in need of some TLC. 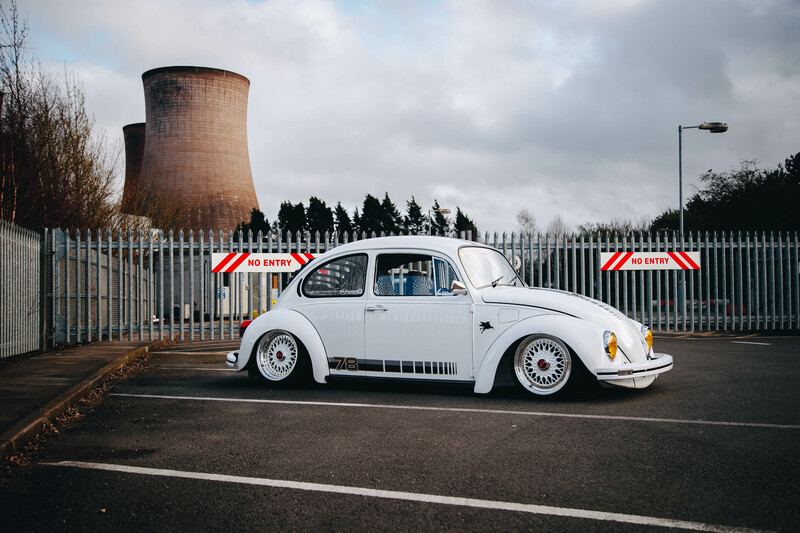 After enjoying the car in its stock form for several years, Max knew it was time for his Beetle to reach its final form – a form that would include a complete body-off restoration. 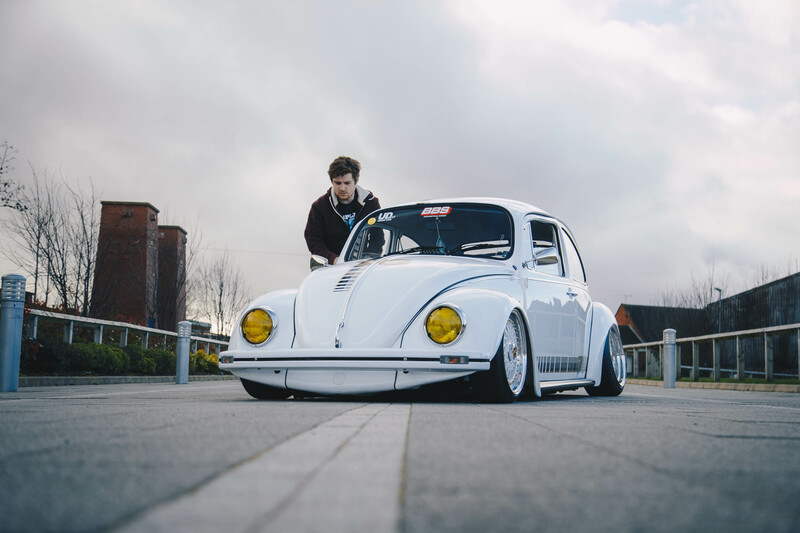 The suspension and chassis were the first element to be overhauled using a Limebug setup, adding a 2” narrow beam to get that perfect Beetle tuck. 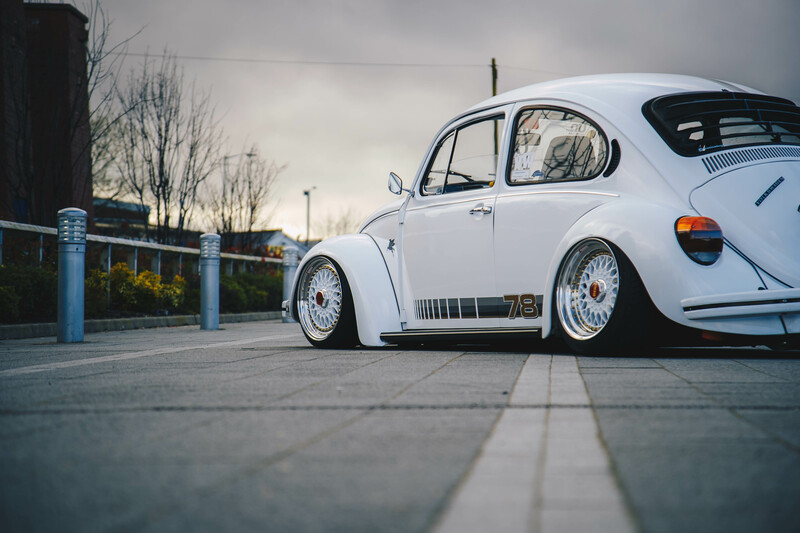 To achieve the #LifeOnAir look and performance, he upgraded the suspension to Limebug through rods, long travel ball joints, track rod flip and raised and strengthened shock towers. 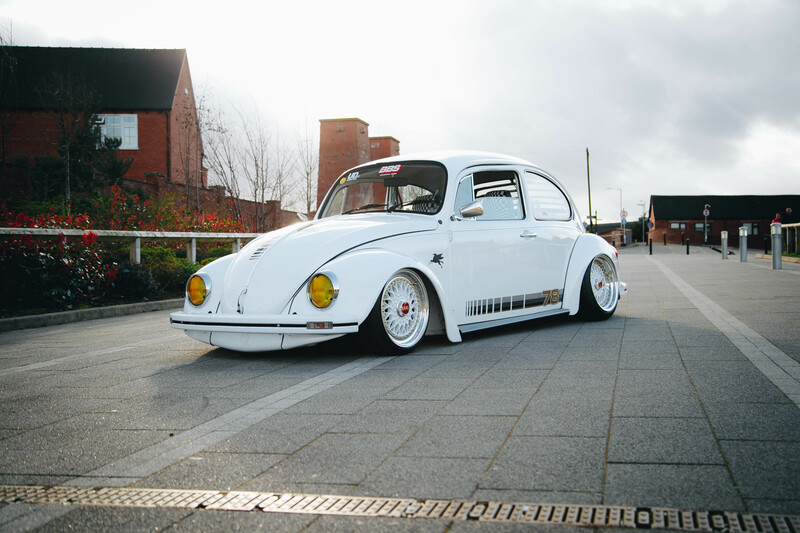 The rear suspension was converted to IRS, using Air Lift Performance Dominator 2500 air springs, paired with the Limebug notched trailing arms and modified lower mounts. The whole suspension set-up is controlled by 3P, the pressure-based air management system that can later be upgraded to the height-based 3H system. With a wide range of Air Lift Performance management options, Max opted for the 3P system because it gave him the benefits of instant ride-height adjustment, iPhone app control and, of course, the ability to upgrade to 3H in the future. 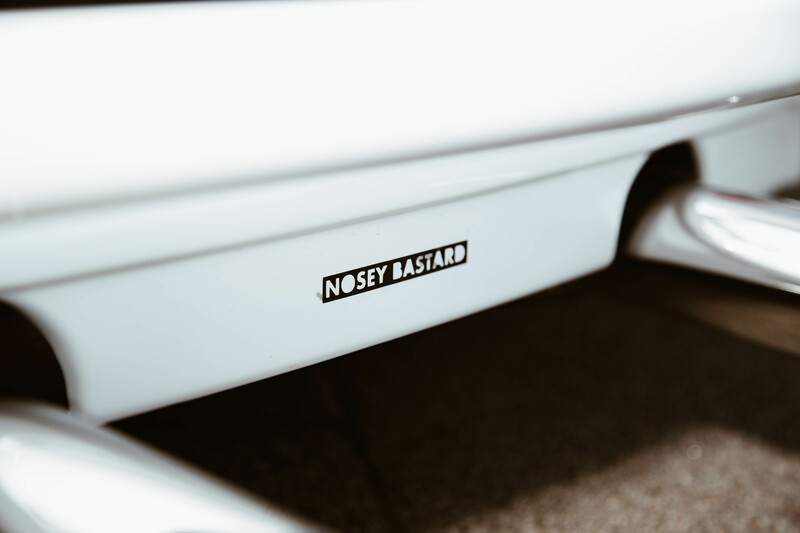 “I’ve always liked how the AutoPilot V2 system worked, having used it in the past, so I was eager to try the latest system on the Beetle,” Max explains. 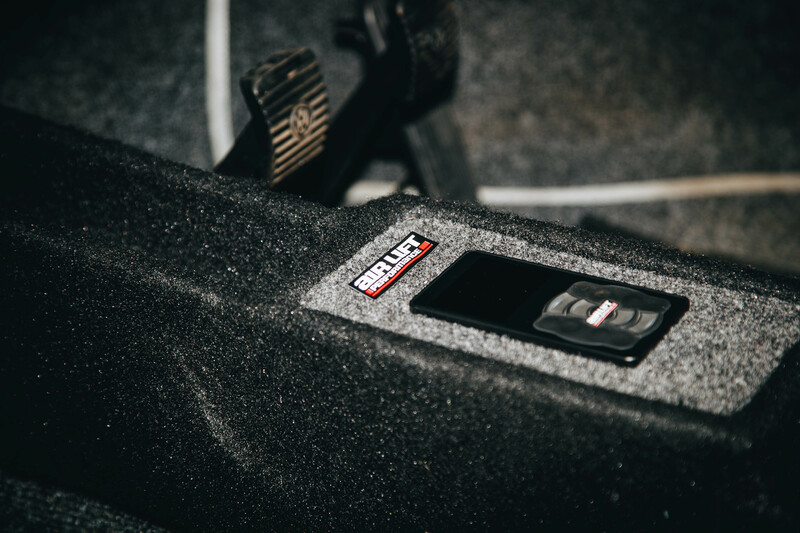 “It does everything I need, never giving me any issues, and the phone app is great for standing back and making adjustments to preset ride height. Since fitting the Air Lift system, the ride quality and handling is greatly improvement, like a premium set of coilovers’. In fact, the Beetle is now as good as new underneath – a testament to the work and time Max has invested into this project. 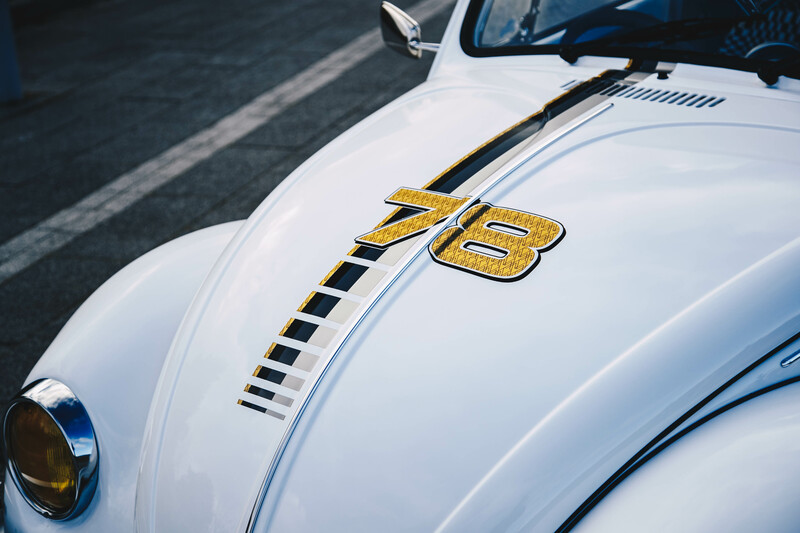 For the exterior, the Beetle’s body was given a fresh coat of Pure 400 white paint, complete with custom 78 numbers and 4-color stripes. The bodywork also benefits from body-colored bumpers and Lucas yellow headlight covers for that motorsport vibe. It’s a similar story inside, too. Porsche ‘Pasha’ material lines the seats and door cards, along with 964 seats and a 3-spoke steering wheel. 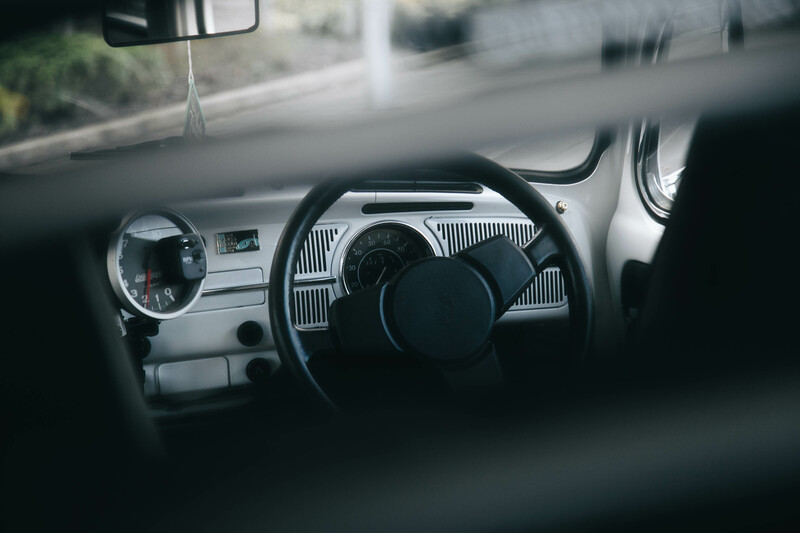 Combined with an Alcantara headlining and the flush-mounted Air Lift controller, the Beetle’s interior looks seriously cool. In the all-important wheel department, Max opted for a classic – genuine BBS RS, measuring 7.5” up front and 9” out back. The color-coded centers are the perfect finishing touch for such an iconic wheel design. Max’s Beetle isn’t all show and no-go. The 1641cc motor runs a balanced bottom end, Eagle 110 cam, high-revving valvetrain and twin Solex 44 carbs. All killer, no filler! 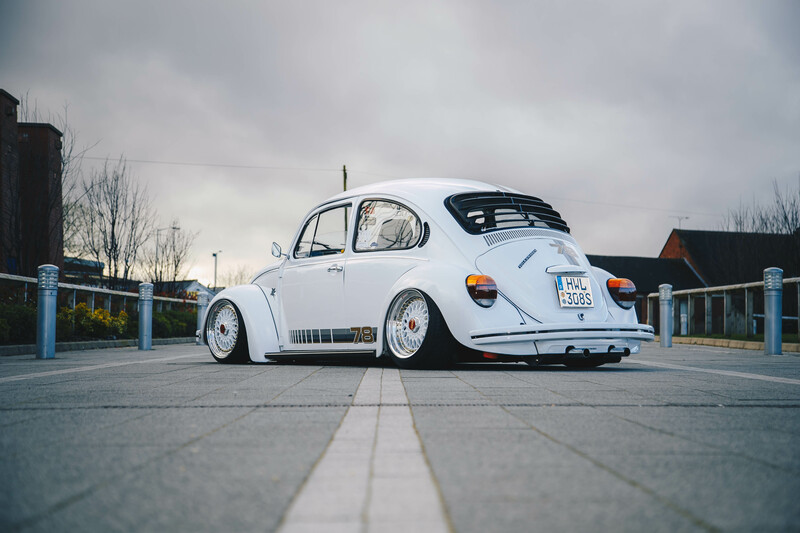 The humble VW Bug may have been around for over half a century, but Max has managed to create something truly unique without straying too far from the original look. Thanks to Max for sharing his #LifeOnAir with us! I'm definitely in love with the way it rides.